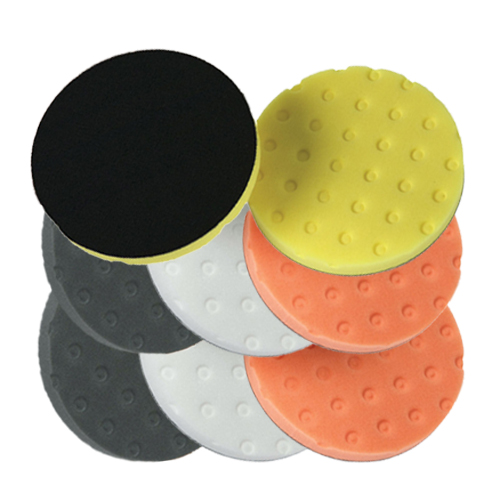 Lake Country CCS Low Profile 4” Foam Pads have been engineered with a specific pattern of CCS pockets and somewhat closed foam cell structure making your polishing process much more productive as well as cost effective with less polish absorption and consumption. The technically advanced Lake Country CCS Low Profile Foam Pads offer exceptional control by reducing surface tension which also prevents pad skipping. The CCS pockets also reduces heat that is generated by friction for a safer polishing process. White Lake Country CSS Polishing Foam Pad: Semi-firm, high strength foam for polishing to enhance depth in shine as well as gloss. Black Lake Country CSS Finishing Foam Pad: Soft, high strength foam for waxing and glazing. 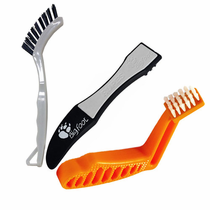 Clean your Lake Country CCS Low Profile 4” Cutting and Polishing Foam Pad during use with a pad cleaning brush to remove polish and compound buildup. After use wash Lake Country CCS Low Profile 4” Cutting and Polishing Foam Pad with warm water and a mild soap by hand or machine. Never use any type of fabric softener. Allow your Lake Country CCS Low Profile 4” Cutting and Polishing Foam Pad to air dry or dry on low without the use of dryer sheet. Once your Lake Country CCS Low Profile 4” Cutting and Polishing Foam Pads are completely dry store them for future use in a clean, dry place away for potential contact with dust, dirt and debris. Some pad staining from compounds, polishes and single stage paints in normal and will not interfere with future performance of your Lake Country CCS Foam Pads.